Voetbal 79 is the second album of the Dutch League from Panini. 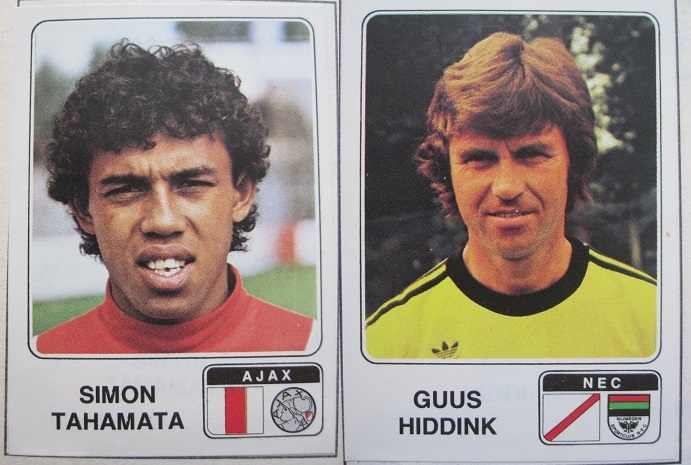 The collection includes stickers of players of both the Eredivisie and Eerste Divisie. The album opens with the table of contents and the calendar of the season. Then the Eredivisie teams are shown in alphabetical order. Each team displaced over two pages includes 18 stickers: the club badge, the coach, the team photo (composed by four stickers), and 12 players. The section of the Eerste Divisie starts with the team photo of the 19 participating teams (half sticker per team photo). Then the teams are displaced each on half page with the club badge (half sticker), coach and players (every player is 1/4 of a sticker, there are thus four players on one sticker). The album does not include other sections, like Dutch players abroad, as in the previous or in following albums.